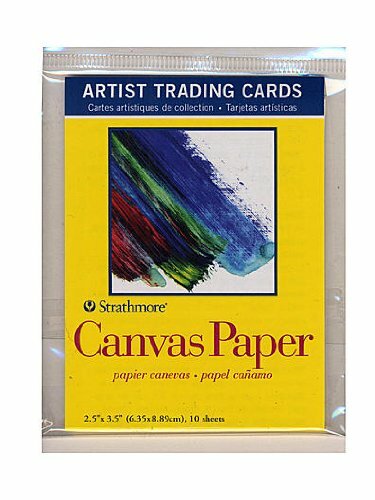 Strathmore® makes it easy for artists to express themselves in a small format, then exchange their creations in a big way.Artist trading cards (ATCs) are miniature pieces of art that are traded around the world. Artists create, trade and collect art at organized "swap" events, either in person or online. The only official rule for ATCs is the size: 2.5" x 3.5".Strathmore Artist Trading Cards are downsized versions of the same Strathmore papers artists use for their full-sized art. All cards and envelopes measure 2.5 in. x 3.5 in. Sold as PACK OF 6.